1. What is the definition of frailty? 2. Which tools can be used to screen and diagnose frailty at an individual level? 3. 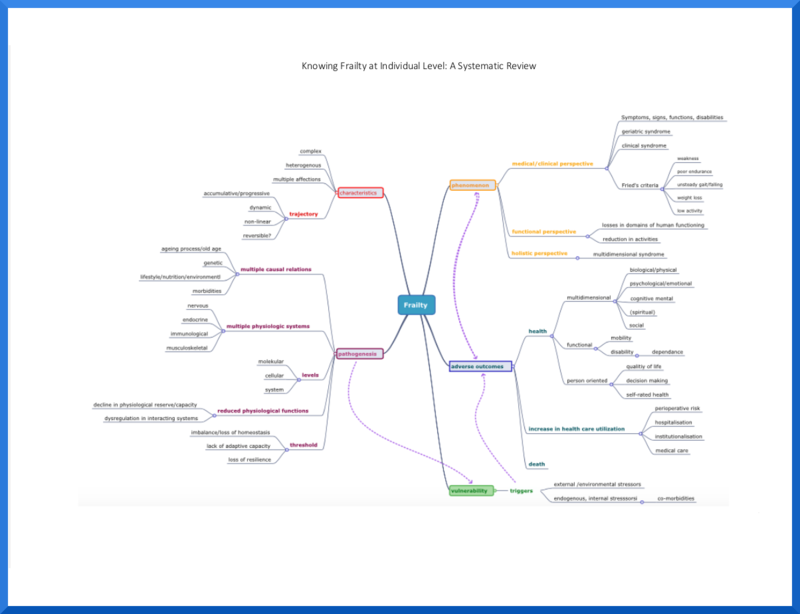 What is the relationship between frailty and multimorbidity? Junius-Walker U, Onder G, Soleymani D, Wiese B, Albaina O, Bernabei R, Marzetti E; ADVANTAGE JA WP4 group. 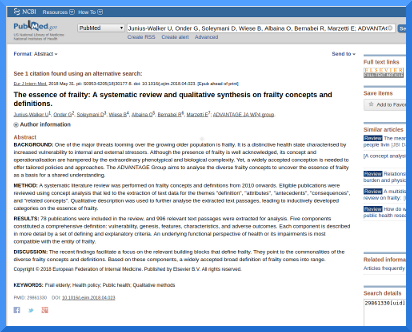 The essence of frailty: A systematic review and qualitative synthesis on frailty concepts and definitions. European Journal of Internal Medicine. 56, 3-10. Vetrano DL, Palmer K, Marengoni A, Marzetti E, Lattanzio F, Roller-Wirnsberger R, Lopez Samaniego L, Rodríguez-Mañas L, Bernabei R, Onder G; Joint Action ADVANTAGE WP4 group. 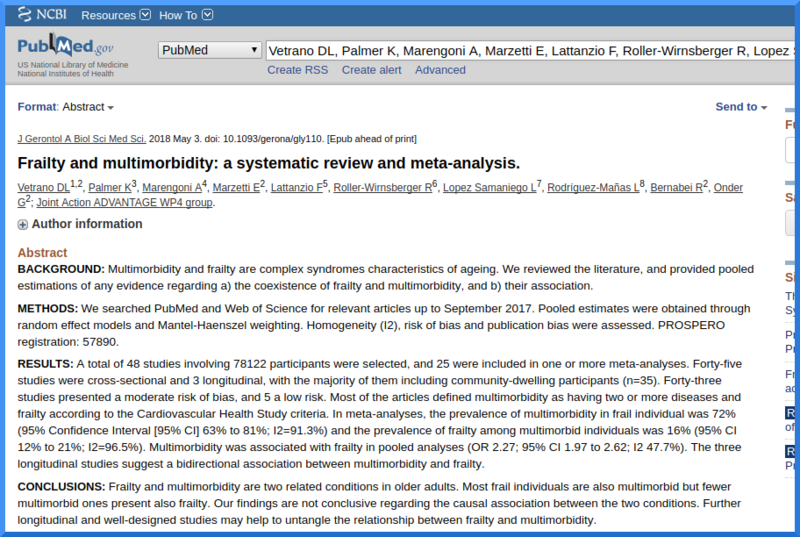 Frailty and multimorbidity: a systematic review and meta-analysis. The journals of gerontology. Series A, Biological sciences and medical sciences. 2018 May 3. doi: 10.1093/gerona/gly110. [Epub ahead of print] PubMed PMID: 29726918. Vetrano, D. L., Palmer, K. M., Galluzzo, L., Giampaoli, S., Marengoni, A., Bernabei, R., & Onder, G. (2018). Hypertension and frailty: a systematic review and meta-analysis. BMJ open, 8(12), e024406.